KETTLEWELL: Log Post and Beam with Log Siding. 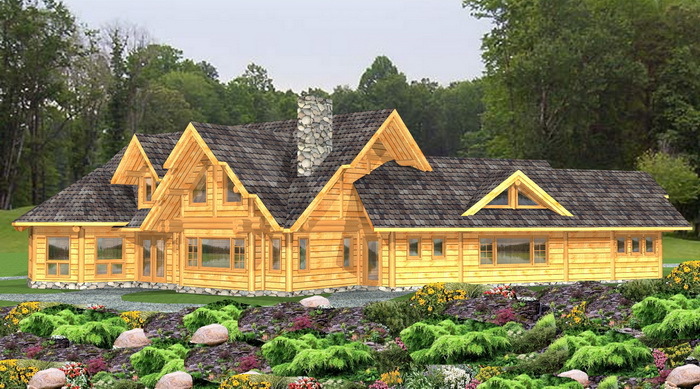 The log home look for less! 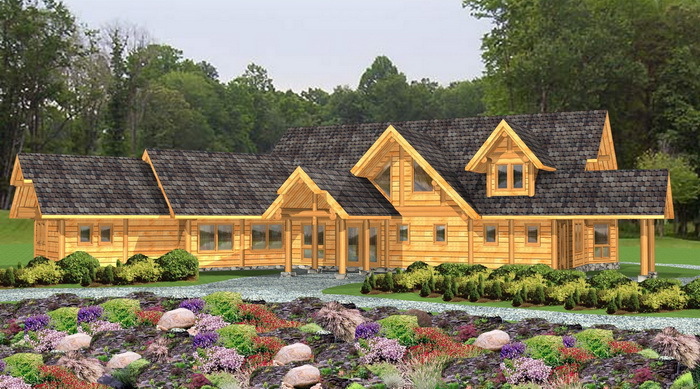 Price below includes all log work constructed in Douglas Fir. Western Red Cedar approximately 15% more. Main Floor Area: 2845 Sq. Ft.
Upper Floor Area: 1110 Sq. Ft.